Summertime doesn’t necessarily need a holiday to motivate people to want to have an outdoor bbq celebration. However, the Fourth of July is a great time to gather with your friends and celebrate America’s independence. 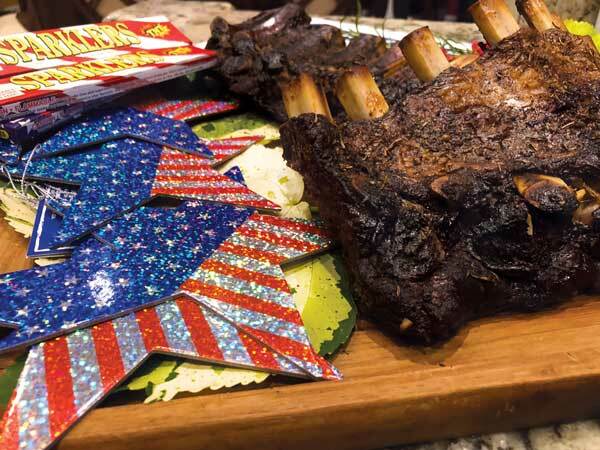 As a country, we have developed an American tradition of inviting family and friends to our homes to relax and enjoy the flavors of the grill while anticipating the coming firework show in the sky. 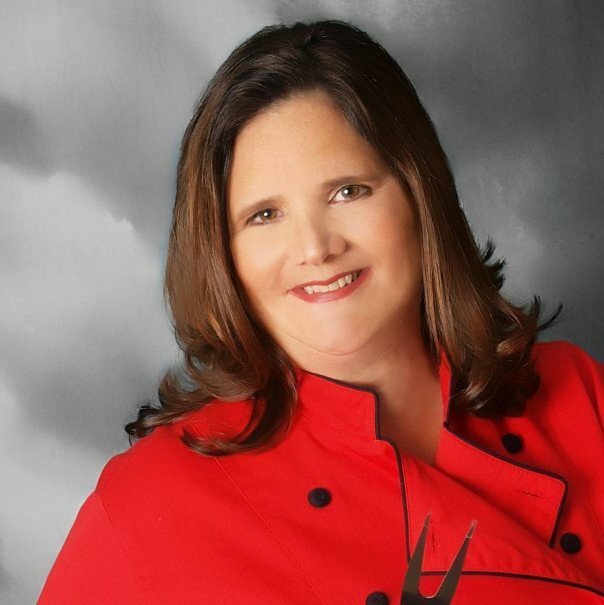 Since I began grilling as the Corporate Chef for ElectriChef Grills, I have always wanted to create an amazing recipe that would show why this grill had all the features necessary to fulfill the grilling needs of the best home grillers. 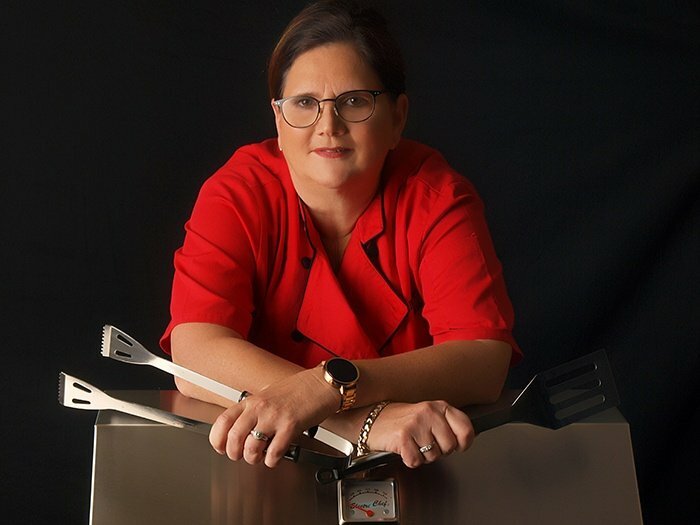 In past recipes, I’ve demonstrated how the ElectriChef grill can grill a salad, steam oysters, create fantastic char flavor on grilled pizza, and sear a porterhouse steak or leg of lamb. 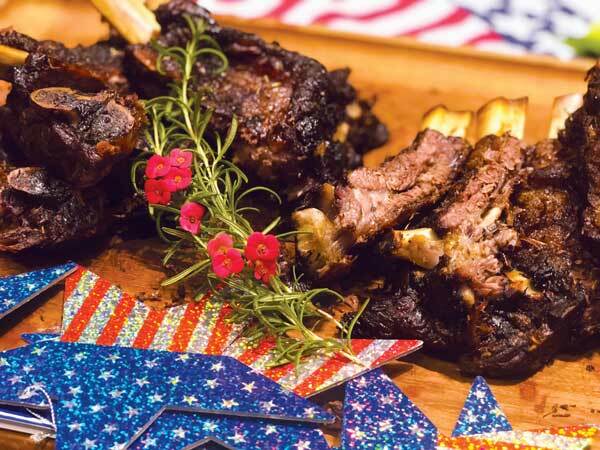 But now I think for this year’s Fourth of July bbq celebration I should provide the steps and recipe for “The best darn smoked beef ribs ever,” and add another dimension to the versatility this electric grill can offer the home griller. In all my previous blogs, I have tried to highlight the advantages of an electric grill. The ability to smoke is just another feature to these incredible grills. The dry heat created by the ElectriChef grill provides an ideal environment to create a perfect smoking method. 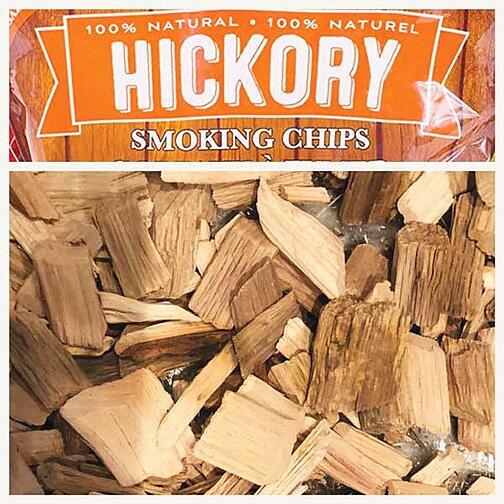 Many gas or charcoal grills cannot provide a constant temperature and sealed cooking area to contain the smoke created by the soaked wood chips. These two components of smoking are very important, but the most important part of smoking on your ElectriChef grill is: time. To create a crispy bark and tender, juicy flavor you will be required to have a “low and slow” attitude. 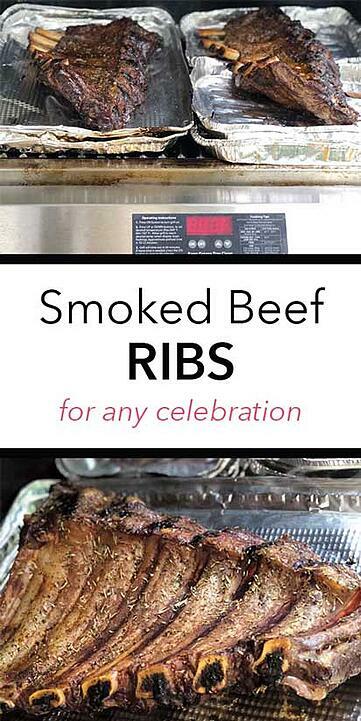 Because, the Fourth of July is a National holiday most people have all day to make my delicious recipe below, thus a perfect day/weekend to make an old time favorite on one of the most versatile grills made today. NOTE: Do not cover the racks, after several hours you will begin to see the rack drying out. This is exactly what you want to happen. The dryness helps to build an amazing crispy bark! Make your rub according to the recipe and set aside. Place the wood chips in a large bowl and cover with water for at least 2 hours. After the proper waiting time is achieved with the racks, remove from the refrigerator and rub the spice mixture all over the rack including the bones. NOTE: the salt will have been absorbed into the meat and fat already, you can omit the salt from the rub. Set both racks aside on a piece of foil until it has reached room temperature. While waiting for the rack to warm up from the refrigerator, preheat your ElectriChef grill to 250°F. Place the aluminum trays used to store the racks on the grill grates and scatter the aluminum trays with equal amounts of the pre-soaked wood chips. Using a paring knife create several slots in the bottom of the 2 remaining aluminum trays and place them over the wood chips on the grill. Place each rack on its own tray with the exposed bone side up and close the ElectriChef grill lid. 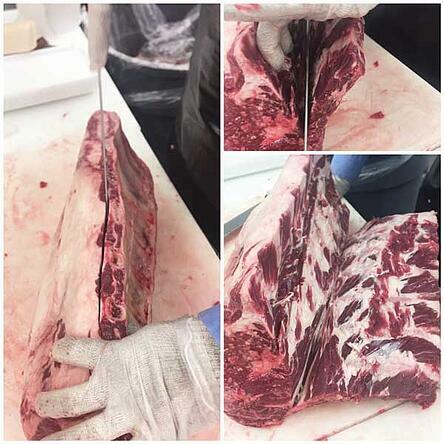 After about 2 hours you will begin to see a bark forming on the rib: IF YOU DO NOT OPEN THE LID. Remember we are going low and slow. NOTE: Your ElectriChef grill has a shut-off timer after an hour, set the timer to move the temperature a bit every 55 minutes, so the grill does not timeout. You can check the racks after 2 hours but close the grill lid immediately, so you don’t let out too much smoke or reduce the temperature below 250°F. The ribs will look done after 3 and a half hours, but the real smoke flavor will set into the meat with the remaining 2 and a half hours. Once you have achieved the perfect bark and smoke on your ribs, immediately remove them from the grill and wrap them in aluminum foil and then a towel. If you have a styrofoam or old cooler, you can place them into the cooler wrapped in the towel for an additional 30 minutes to an hour. This trick will cause the ribs to sweat and allow the smoke flavor to render further into the rib meat. You will be tempted to skip this step, but I assure you it significantly adds to the flavor and tenderness. Unwrap the ribs and serve with some grilled corn or Brie Sweet potatoes. SMOKING NOTES: Because the wood chips have been soaked they will create a syrupy substance as the heat up due to the indirect heat. Be sure to have an aluminum pan that has a lip around the edge. Also, watch the grill temperature, even though the temperature is very low and constant you may need to adjust the grill temperature to keep it a constant internal temperature of 250°F especially in the beginning when you first place the ribs on the aluminum pan over the wood chips.